Public bodies such as government departments, local authorities, Clinical commissioning groups are required by law to engage with the public when making decisions which may affect their lives. The Equality Act 2010 requires public bodies to take steps to ensure their engagement mechanisms are accessible to Disabled people. This is usually done when they develop new policies or want to make significant changes to the way services are delivered. Engagement is often done as a consultation published on the organisation’s website, asking those who are interested to send their views. Sometimes engagement can be in other forms, which could run alongside the online consultation. This includes surveys, meetings, and focus groups. 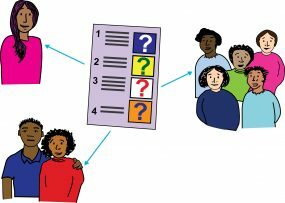 You can read more about the legal duties local authorities and CCGs have to involve Disabled people in decision-making processes in this Advice Note on the Legal Framework for the Involvement of Disabled People. What kind of problem did you experience? Take this action if a complaint hasn't worked and you want to start a court case. To create your complaint letter, answer the questions below and our website will generate a letter for you. Alternatively, you can download and edit our template in Word. If there were no reasonable adjustments at a public engagement meeting or an open meeting of a decision-making body, such as council. Who are you complaining to? What was the date of the meeting? What was the purpose of the meeting? Including inconvenience, feeling humiliated, any financial impact, were you unable to understand information and act upon it? Were you unable to express your views? What would you like to achieve by this complaint? These are our recommendations, but you can edit these depending on what you would like to achieve. 1. A written apology; 2. A change in your policies and procedures ensuring Disabled people can get communication support to attend public meetings; 3. A commitment from you to train your staff in Disability Equality and their duties under the Equality Act 2010; 4. Compensation for the discrimination and injury to feelings that I experienced. Can we contact you about feedback? Feedback is important to us. Can we contact you by email about your experience of using our Disability Justice Project resources? To create your letter before action, answer the questions below and our website will generate a letter for you. Alternatively, you can download and edit our template in Word. 1. An open acknowledgement that you have discriminated against me; 2. A commitment from you to change the way you work ensuring Deaf people can get communication support at public meetings. 3. A commitment to change or develop a policy on the provision of communication support and other reasonable adjustments at public meetings. 4. Compensation for injury to feelings and any financial losses I have suffered as a result of the discrimination outlined above.